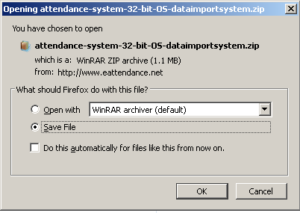 If you are using attendance device (Facial Recognition, Fingerprint Reader or RFID Card Reader) with your attendance system, you need to install data import system to retrieve attendance logs from the device. 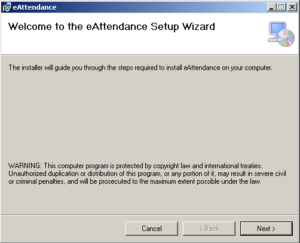 You can download time attendance apps based on your operating system. Unzip the downloaded file to get setup and Read me file. Go through Read Me file to know more. If you are having problem in download, please contact us.